fig. 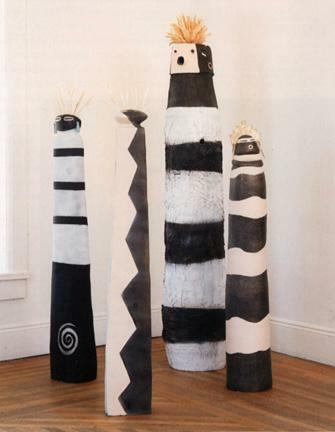 25: Four figures, 1996, By Nora Naranjo-Morse. From 4.5 ft.x11in. dia. to 8.5x1.5 ft. dia. Collection of Sara and David Lieberman.